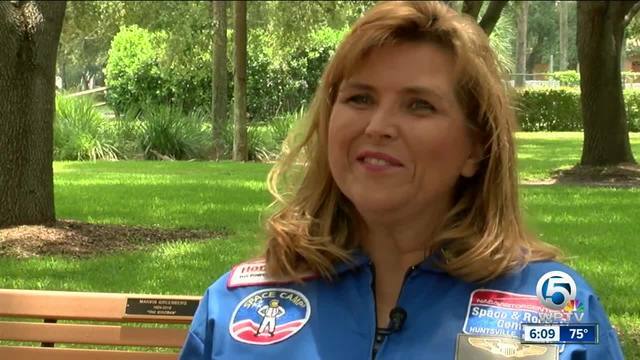 A Palm Beach County teacher’s dream of attending space camp recently came true. Susan Russo was one of only 200 people hand selected to attend Honeywell’s Educators at Space Academy. JUPITER, Fla– – A Palm Beach County teacher’s dream of attending space camp recently came true. Susan Russo was one of only 200 people hand selected to attend Honeywell’s Educators at Space Academy. “It was one of those things my parents could never really afford and so it was a great pleasure to call my mom and tell her, ‘guess what, remember that space camp you couldn’t send me to?’ I’m getting there all by myself,” said Russo. “The students that I’m teaching right now, these are the kids that are going to Mars. These are the kids that are going to see people go to Mars, see their peers go to Mars and that’s extremely exciting, and to inspire some of them that they might go there is very, very, exciting,” said Russo.